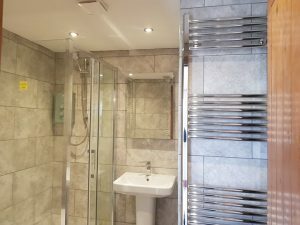 Bathrooms | Bywhe Renewables Ltd.
With our experience in Tiling, Plumbing and Plastering, we are fully able to fit a bathroom to the extent that you want it to be fitted. If it is simply replacing a toilet or shower, to entirely refitting it to a design of your choice; we are fully capable of doing such a job. 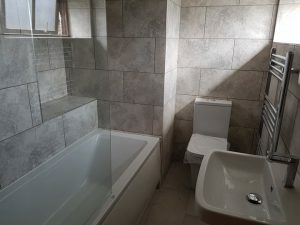 Here are some of the images of a completed pair of bathrooms we did for a customer, to see more click here to see the in progress photos and further details for these bathrooms. 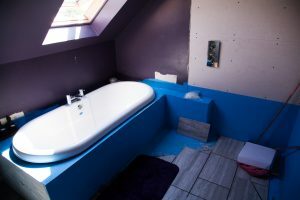 Further to this, we are currently undertaking another bathroom, here are some images of the progress of that bathroom.